We are happy to introduce you a brand new tool , the BULK DUPLICATE. This feature you to create a large number of products with ease by mass duplicating an existing campaign. Impressive, isnt'it ? Indeed, we fully believe that this tool will optimise your selling experience by reducing the time you were spending for launching new campaigns with different designs. Let's check together how you can leverage this feature to simplify the launching phase of your campaigns. First of all, get to the "Campaign" Page of your Dashboard. 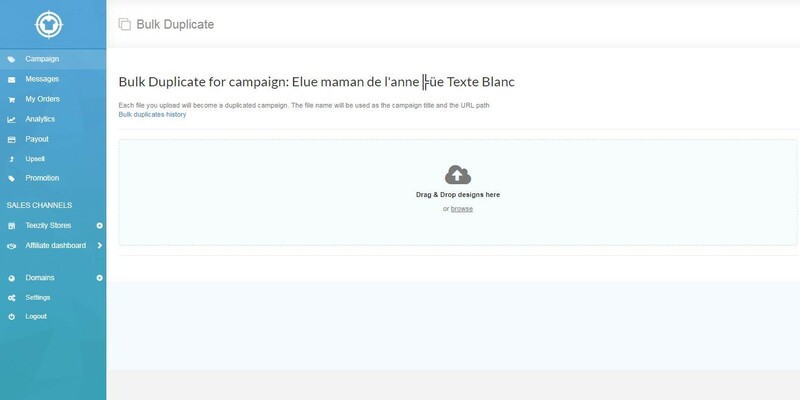 Look to the right of the campaign you wish to duplicate and click on the bulk duplicate icon. Drag and drop your all the designs you wish to upload, in one click ! By uploading your artworks' files, the campaign titles will become automatically the same as the uploaded designs. However, you can still edit both title and URL by filling in the boxes on the right. 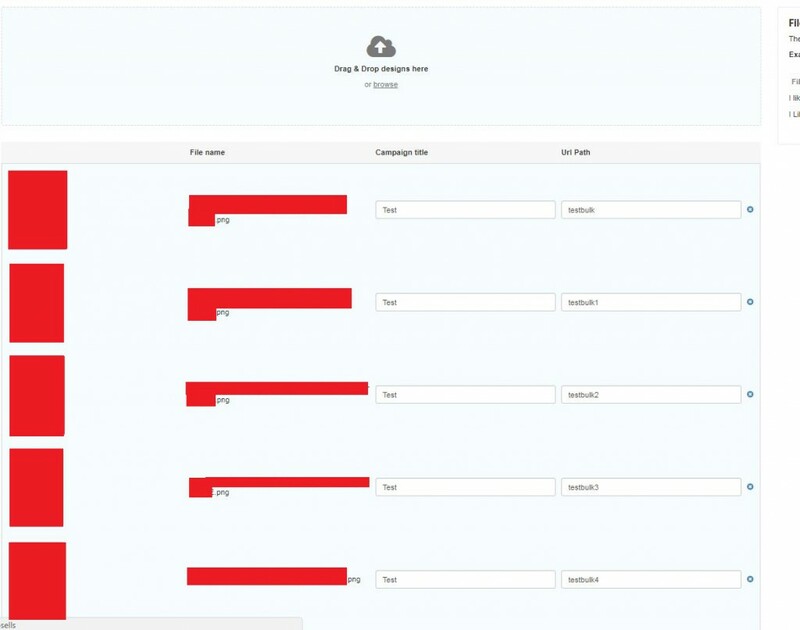 In the same page, you will be able to add your campaigns to your hosted stores, to choose if you want to add your products on the Teezily Marketplace and to set up the upsell and pre-upsell features. You can also add your Facebook Pixel. Click on "duplicate" and enjoy! Please note that duplicated campaigns might take a few minutes to be visible on your account. Every campaign you create will have the same description, product selection, tags and pricing. Last but not least, please bear in mind that our legal team will carefully check every design you are uploading: that means that every campaign that is violating intellectual property rights will be automatically deleted. We look forward to hearing your feedbacks about this tool!